For Leah, SAU’s tradition of helping the community and impacting the world was an excellent fit. That, in part, is what led her to become an Ambrosian. For Leah, there were advantages to growing up in a small town. Yet, she chose to expand her opportunities and attend a large high school located on a state university campus. 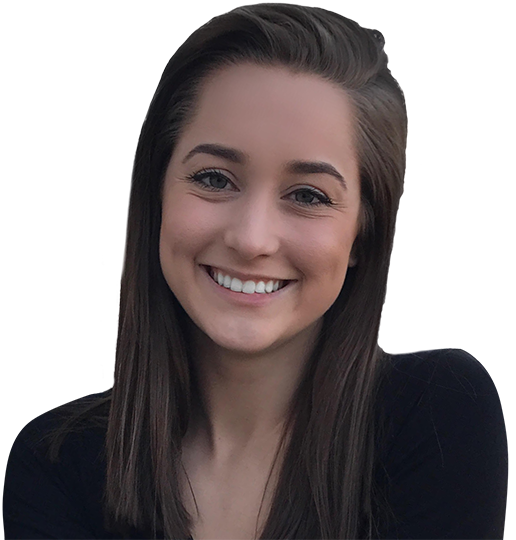 Leah immersed herself in academics, activities and leadership, and rose to the top of her class. When it was time for college, Leah chose SAU and got the best of both worlds. We felt more like home to her and also provide countless opportunities to excel. Leah aspires to be a physical therapist, a goal sparked by a high school injury and a caring health professional. “I want to be a person who believes in people and gives them hope,” Leah says. 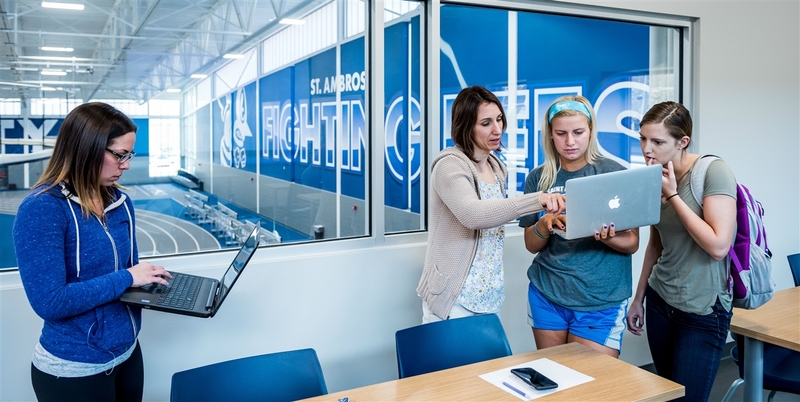 As an admit from high school to the Doctor of Physical Therapy program, SAU is giving Leah the best academic opportunity to achieve her dream. “Being an early admit to the DPT program was huge.” To broaden her skills, she may add a minor in biology, which she can earn with just one more class. 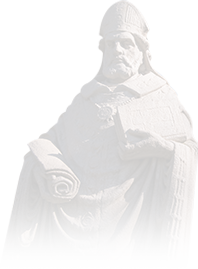 At St. Ambrose, it is easy to cater your education to your goals. What does SAU give you? Leah embraces opportunities to learn, lead, and give. Her past involvement in clubs and organizations has shown her it's possible to achieve anything through hard work. 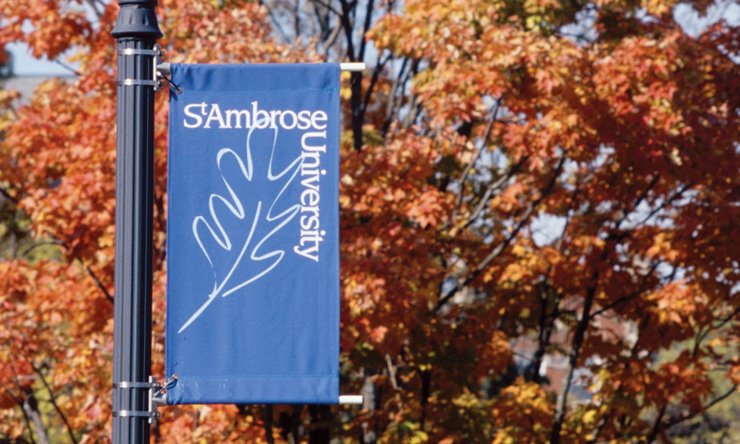 At St. Ambrose, we have more than 80 clubs and organizations to give all our students opportunities to join, act, and grow. Her first year, Leah joined the jazz accapella ensemble STAMVOA and intramural volleyball, and she created deep friendships and a campus family. “There are so many people who are kind, reach out and show they care, definitely my peers but my professors as well," she says. What did you learn about yourself your first year? 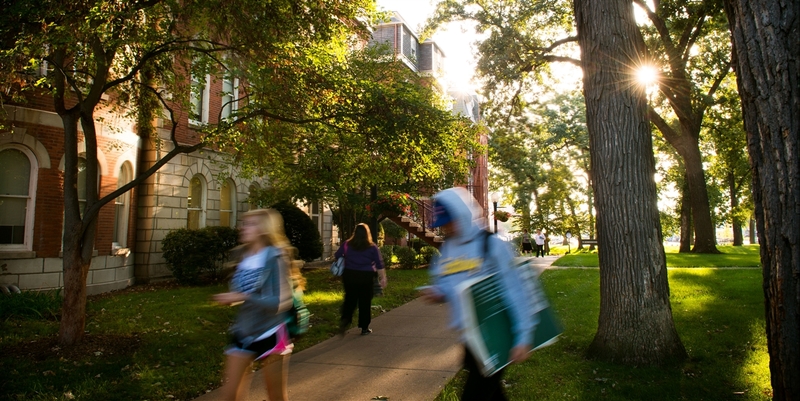 What does your time at SAU mean for your future?